It is only November and we are already exhausted from holiday shopping (not that we plan to stop anytime soon!). No, we haven’t been lugging bags or pushing shopping carts of holiday purchases around – we’ve been clicking and browsing online on our computers, tablets and smartphones. We aren’t the only ones, says Casey Chroust, Executive Vice President of Retail Industry Leaders Association (RILA). “We continue to see the powerful rise of the multichannel shopper – a customer that uses all channels to make their purchase decisions. It’s not just buying anymore, but using online and mobile channels to research products and prices,” said Casey when we caught up with him over the phone (a smartphone, no less). 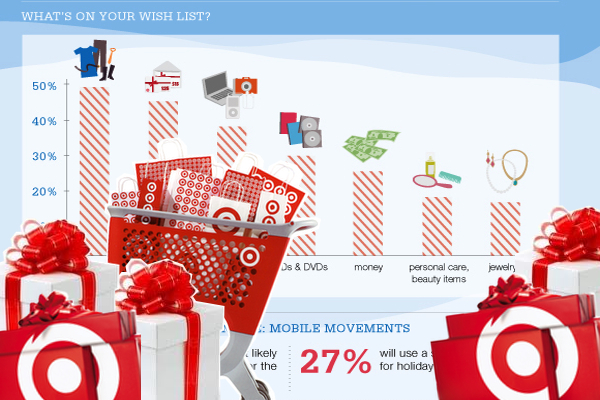 How will this affect your seasonal spending? 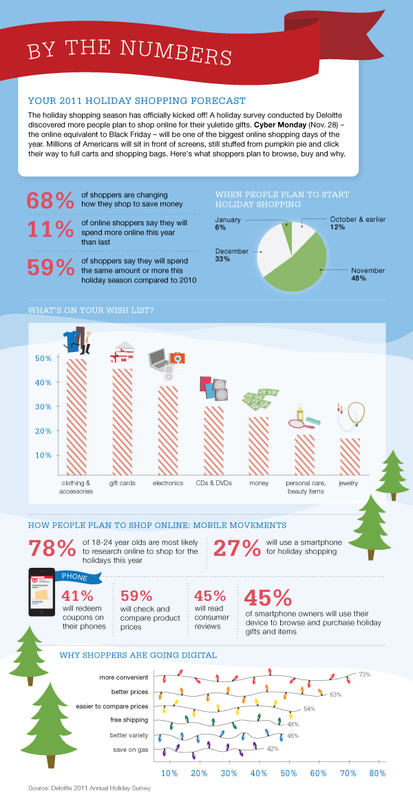 Find out in the 2011 holiday shopping forecast below!